Rodgers and Hammerstein's Cinderella is a musical written for television, with music by Richard Rodgers and a book and lyrics by Oscar Hammerstein II. It is based upon the fairy tale Cinderella, particularly the French version Cendrillon, ou la Petite Pantoufle de Verre, by Charles Perrault. The story concerns a young woman forced into a life of servitude by her cruel stepmother and self-centered stepsisters, who dreams of a better life. With the help of her Fairy Godmother, Cinderella is transformed into a Princess and finds her Prince. It was originally broadcast live on CBS on March 31, 1957 as a vehicle for Julie Andrews, who played the title role. The broadcast was viewed by more than 100 million people. It was subsequently remade for television twice, in 1965 and 1997. The 1965 version starred Lesley Ann Warren, and the 1997 one starred Brandy Norwood in the title role. Both remakes add songs from other Richard Rodgers musicals. The musical has also been adapted for the stage in a number of versions, including a London West End pantomime adaptation, a New York City Opera production that follows the original television version closely and several touring productions. A 2013 adaptation starring Laura Osnes and Santino Fontana, with a new book by Douglas Carter Beane, opened in 2013 on Broadway. The grand 2013 Broadway production of Cinderella breathes new life into the classic Rodgers & Hammerstein musical from 1957, and has enjoyed several Tony Award nominations and other accolades. 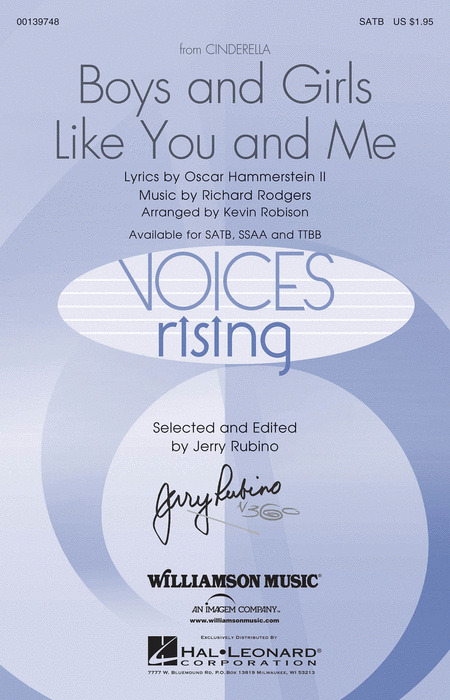 Our songbook features 16 selections in piano/vocal format with the melody in the piano part, including classics like: Cinderella March - Do I Love You Because You're Beautiful? - In My Own Little Corner - and Stepsisters' Lament; plus new songs added for this Broadway edition: Me, Who Am I? - Now Is the Time - There's Music in You - and more. 13 piano/vocal selections from the 1957, 1965, and 1997 television productions of Cinderella, including: Cinderella Waltz - Do I Love You Because You're Beautiful - Falling in Love with Love - Impossible - In My Own Little Corner - Stepsister's Lament - Ten Minutes Ago - and more. Extra features include a Rodgers & Hammerstein biography, plot synopsis, a history of the show, and photos from all three productions. 6 vocal selections from the 1949 Disney classic, complete with color illustrations and story. Songs include: Bibbidi-Bobbidi-Boo (The Magic Song) - A Dream Is a Wish Your Heart Makes - The Work Song - and more. 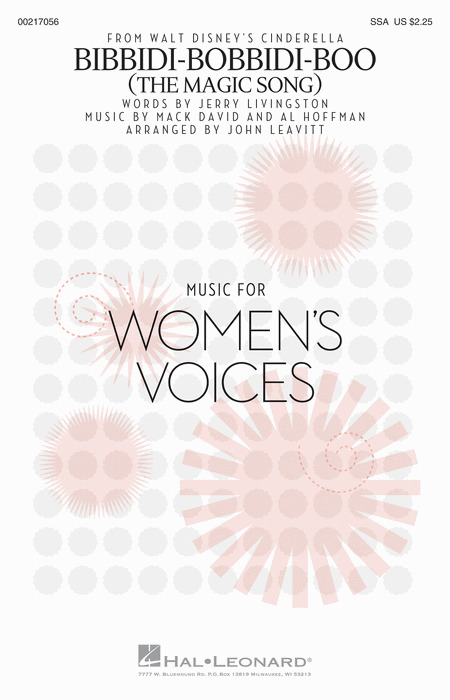 This collection includes P/V/G arrangements of the ten terrific songs that appeared in The Wonderful World of Disney's new TV broadcast of Cinderella that starred Whitney Houston, Brandy, Whoopi Goldberg and Jason Alexander, and was watched by more than 60 million people! Songs: Cinderella Waltz - Do I Love You Because You're Beautiful? - Falling in Love with Love - Impossible - In My Own Little Corner - A Lovely Night - Stepsisters' Lament - The Sweetest Sounds - Ten Minutes Ago - There's Music in You. This deluxe songbook features full-color photos, notes on the new production, and a Rodgers & Hammerstein biography. Singers and audiences will love the uplifting message of this ballad from the live action Disney film Cinderella: strength, believing in yourself, courage and kindness. An outstanding choice for all types of concerts! This classic Disney song is paired with Once Upon a Dream for a stunning SSA showcase. Full triadic harmonies, soaring melody lines, and exquisite phrasing will create a memorable concert moment. Available: SSA. Performance Time: Approx. 3:00. Your women's choir will have a diction work-out with this delightful and easily-learned selection from Disney's Cinderella! A charming change-of-pace or encore!